As homeowners, you know that there are certain areas of your home where the floors take more abuse than other. For example, the entranceway to your house likely takes on more traffic than the floors of your bedrooms or master bath. If you’ve got children, then rooms like the kitchen, living room and dining room may also be high traffic hubs that need floors able to withstand the abuse while maintaining the aesthetic of those rooms. When it comes down to it, these areas of your home require flooring that is not only beautifully suited to your style, but also durable enough to withstand years of kids running around, dinner parties, and life in general – laminate flooring is the ideal solution! This, combined with cost, installation and various options have made it the most popular choice for homeowners. Laminate floors are named so because they are composed of various materials that are then laminated or layered together and finally topped with a woodgrain photographic imprint on either face of the board. Made from layers of real hardwood that are glued together. Each layer is laid perpendicular to the one above and below it to increase stability. Best for homeowners who prefer the appearance of natural wood. About the same cost as plastic laminate. Thin top layer of hardwood may make it more susceptible to dents, staining or scratching – but can be rejuvenated with sanding and refinishing. 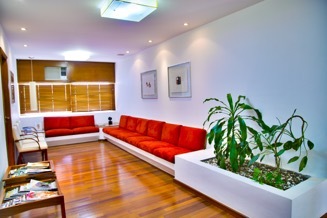 Can last longer and increase value of your home due to buyer attraction to natural wood floors. Completely artificial with a layer of melanin at the bottom, a middle made of resin saturated fiber boards, and topped by a woodgrain print that is protected by a layer of clear, hard plastic. Best for areas where you want the look of hardwood but need protection from moisture, such as kitchens. The hard top coat layer makes this type of laminate flooring incredibly durable, standing up to the wear of moisture, pet claws, skates, sandy feets, etc. Technology for plastic laminate has come a long way in making the print look realistic enough to be indiscernible from its counterpart. All laminate floors require underlayment. Underlayment will prevent the floors from clicking as you walk across it and makes it a bit softer. Makes installation easier as it evens out any consistencies that may exist on the surface. 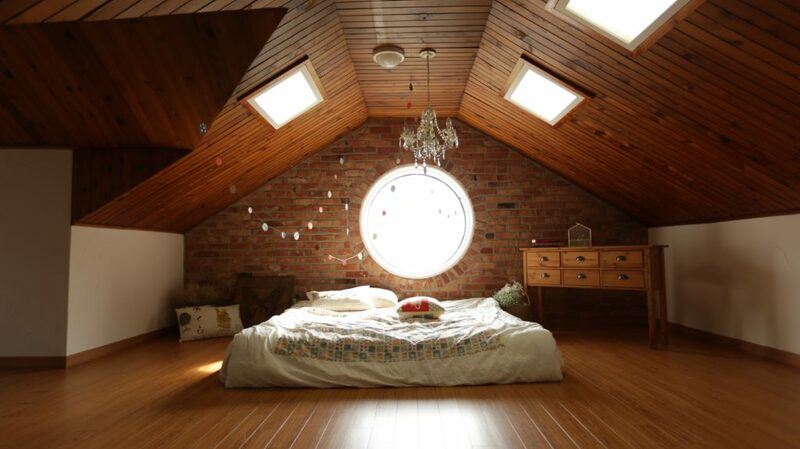 For those with specific requirements, laminate flooring offers a wide variety of options. Texture: Realistic graining, tactile textures, and varied coloring can look just like real wood or ceramic tile. Highend options allow you to incorporate unavailable options such as exotic woods not sold domestically. Manufacturers of laminate floors have been working to take realism to a new level, adding wormholes, cross saw marks and even hand-scraping to add to the realistic look. Finish: Laminate comes in a range of prefinished options ranging from glossy to matte coating, depending on what you’re looking for. Laminate: The flooring will coming in strips or planks that mimic wood, or tiles for a realistic stone appearance. Not quite convinced? The benefits may surprise you! Cost: Laminate wood flooring gives you the beautiful look of hardwood floors without the heavy hit to your budget. Durability and ease of care: The top layer is virtually invulnerable to most spills, burns, stains and scratches. Designs: Our designs range from realistic stone to tile and hardwood, giving you the perfect finish and professional authentic look. 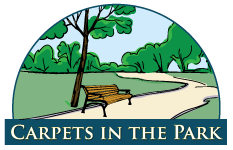 Our experts at Carpets in the Park will help you find the perfect solution to your flooring needs, for any room in your home. As flooring professionals serving Chicagoland for over 30 years, we will expertly install your laminate floors, ensuring that your investment lasts you for years to come. Our installation services are backed by a 2-year guarantee against any problems, that’s how confident we are in our work. Contact us today to get advice from carpeting experts with over 30 years of experience!